SEVEN WEEKS ago Israel said it was going after Hamas’ ability to fire rockets. On Tuesday night, after an embittered and bloody battle, a cease-fire was finally called and hundreds of Palestinians alighted into the street of Gaza City claiming victory. But the particular conflict in Israel and Palestine has plagued the international community for almost a century. To understand it and its still volatile nature, we must first understand history, politics, and empathy, all subjects which we tend to limit in practice. The crisis is maintained by the Palestinian plight for a homeland, and Israel’s political struggle to sustain its territorial integrity. Both nations feel a cultural and ideological responsibility to the region, namely its historical, cultural, and religious properties. The region consists of the Jewish State of Israel, and the Palestinian occupation of the West Bank and Gaza Strip, known as the Occupied Palestinian Territories (though not formally recognized as an independent country). Israel is bordered by Jordan to the east, Syria to the north, Egypt to the south, and the Mediterranean Sea to the west. Following World War I, Great Britain and France seized control of the recently dissolved Ottoman Empire. The British took control of Arab-Palestine, and promised support for a Jewish national homeland in Palestine. 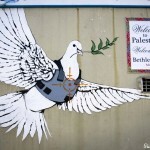 Religious and ideological differences led Palestine into civil war. In the wake of World War II and the Nazi persecution of thousands of Jews, the British forfeited the fate of their occupied colony to the United Nations, which ruled in favor of a two-State system. However, the importance of the small region lies within its holy cities. The UN ruling and declaration of the Jewish State proved insufficient to the surrounding Arab states, and provoked the first of many Arab-Israeli wars. In an almost century-long exchange of military and civilian killings, thousands of Palestinian refugees live in temporary zones of neighboring Arab states, and thousands of Jews have been expelled from such states. Israel has been under heavy criticism from the international community for human rights violations, and for narrowing the mandated borders of Occupied Palestine. 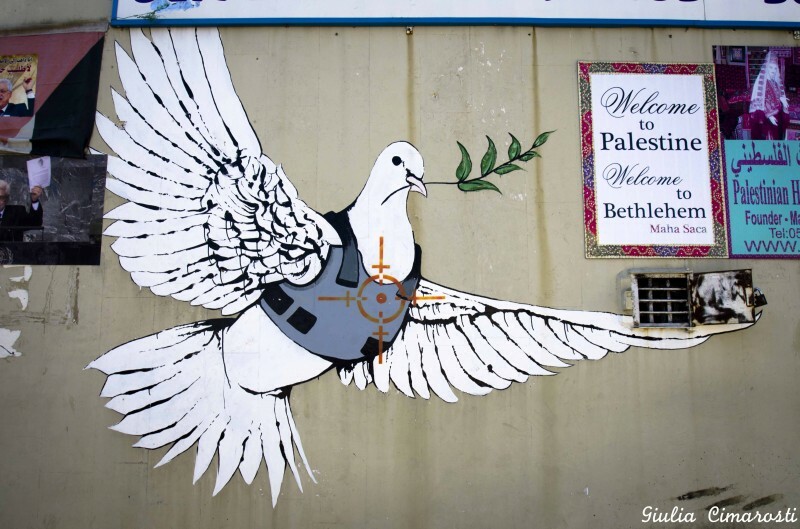 In the struggle to achieve peace, there have been several areas of concern, including border security, water rights, Palestinian freedom of movement, Israeli settlements, control of Jerusalem, and the return of Palestinian refugees. There have been several attempts for peaceful negotiations, few of which proved significant. The conflict in recent months has evolved between the Israeli government and Hamas, the Palestinian-elected radical organization. Hamas, born from the Muslim Brotherhood in Egypt, is committed to the liberation of Palestine through the destruction of Israel, and denies Israel’s right to exist. Due to its aggressive principles, the international community does not recognize Hamas as a legitimate governmental entity and condemns its violent behavior as war crimes and crimes against humanity. However, due to the extreme and oppressive strategies of the Israeli government and the superiority of its US-backed army, most Palestinians are sympathetic to the efforts of Hamas. Concerned for its own security, Israel controls all of Gaza’s borders — with the exception of its southern border, which is controlled by Egypt. Israel continues to narrow the territory of Occupied Palestine by establishing settlements along its borders, destroying infrastructure and “purchasing” the condemned land, and diminishing Occupied Palestine’s socio-economic means. The UN and international community accuse Israel of limiting access to water, electricity, and garbage removal, destroying homes and schools, and imposing strict curfews. Several UN resolutions have been passed in the last fifty years demanding Israel cease its aggressive policies in the region. Most resolutions are highly favored by all member states, less the United States and Israel. In June of 2014, three Israeli teenagers were kidnapped and killed. Hamas denied involvement in the killings but, unconvinced, Israel tightened its influence in the West Bank. The body of a Palestinian teenager was then found in Jerusalem on July 2, in a suspected revenge killing. Hamas retaliated by firing rockets into Israel and, on July 8, the Israeli Offensive began. During July of 2014, the assault on Gaza included 5,263 airstrikes, killing at least 2,140 Palestinians and injuring over 10,000 — including over 3,000 children. Eighty-five percent of those killed were civilians. Over 475,000 have been displaced and over 17,000 housing units destroyed or damaged, including 141 schools. 1.5 million Palestinians have limited or no access to water. The assault on Israel included 4,564 rockets fired, killing 64 Israeli soldiers and 6 civilians. Egypt has had a significant role in negotiating peace with Israeli Prime Minister, Benjamin Netanyahu, and Palestinian President Mahmoud Abbas. With several proposals for a cease-fire, Hamas has agreed to consider a long-term truce, given that Israel end all aggression in the West Bank, Gaza, and Jerusalem. They demand Israel must also stop trying to undermine the Palestinian government. Netanyahu has agreed to the proposed cease-fire, but will not acknowledge the demands. Neither side can adhere to negotiations, and the fighting continues. So why does Israel fight so violently to reside in a region surrounded by Arab states who deny its right to exist? Israel is the world’s only Jewish State. Throughout history, several ethnic groups have been routinely victimized, but none have endured such persecution as the Jewish population. Despite its criticism, the international community maintains that Israel has a moral right to exist and defend itself. Additional factors include European guilt, a strong US Jewish lobby, and the desire to sustain a democratic ally of the West in the Middle East. Furthermore, Israel can defend itself. Despite a strong backing from the US, Israel maintains an organized militia governed by a legitimate democracy. Surrounded by Arab states, why do Palestinians not seek a homeland outside of Israel? Massive immigration into neighboring states poses great economic and political problems. Arabs states do not want to compromise their nationalism or their fragile governments. In other words: massive, permanent immigration reform would be detrimental. Furthermore, Arabs want their land back from the Jews. Since they cannot win militarily, their approach is political, and Palestine is the pointy end of the Arab stick. The conflict seems irrational, prolonged, and immoral to Western civilians. Most Westerners view the current crisis from a first world perspective: that the only way to achieve peace is through democracy and Westernization. Much of the Muslim world refuses to Westernize along with the rest of the world. Dysfunctional regimes plague the Middle East and Africa with violence and conflict. In a world of increasing globalization and international cooperation, the West is hesitant to trust these delicate and often rogue governments. In the wake of the 9/11 terrorist attacks, two wars, nuclear proliferation, and several dysfunctional uprisings, support for Islam is compromised by fear and hate mongering. In the eyes of these developing countries, most efforts for global cooperation and peace are just to maintain Western dominance on the international stage. The West is not politically responsible for defining ideological integrity for the entire international community. Let us take a look back at history: From a non-Western perspective, the Europeans carved out a piece of the third world for themselves (Jews). From a realist political perspective, there is little incentive for the rest of the world to support Israel’s policies. The conflict is so polarizing; no nation wants to upset the people who supply most of the world’s oil. Let us take another look at history: During the Cold War, the US and USSR pumped time, effort, and money into their proxy states. Arab states were routinely encouraged to view the situation radically. Neither side, nor any state involved, had much incentive to back down while they were getting money and support from their respective sugar daddies. On August 26, after fifty days of fighting, Egypt’s negotiations for a cease-fire were met, and the economic blockade into Gaza was lifted. While a delicate peace sweeps Gaza, this is not a victory for either side. Israel’s long-term arrangements call for a complete demilitarization of Gaza, and recognition of the Jewish State. Hamas demands the region be restored to its 1967 borders, and for Palestine to be recognized as a legitimate territorial entity under its own political and economic governance. It is almost certain Hamas will not cede until the demands for its people are met. A future two-State system is still compromised by border security and settlements. Heavy military influence on any current and future shared borders will maintain tension. Historically, it is has been a hornet’s nest waiting to be kicked, as a cease-fire only lasts until the moment it is broken. Recent responses to this conflict have been tense, and often negative. But again, we must remember that history has taught us empathy. Efforts made by the international community must be humanitarian. Lack of empathy is the cause of the conflict; extremism is the product. We pay for our faults with lives, money, time, respect, and power. If we forget that we are not anti-human, history will remind us.